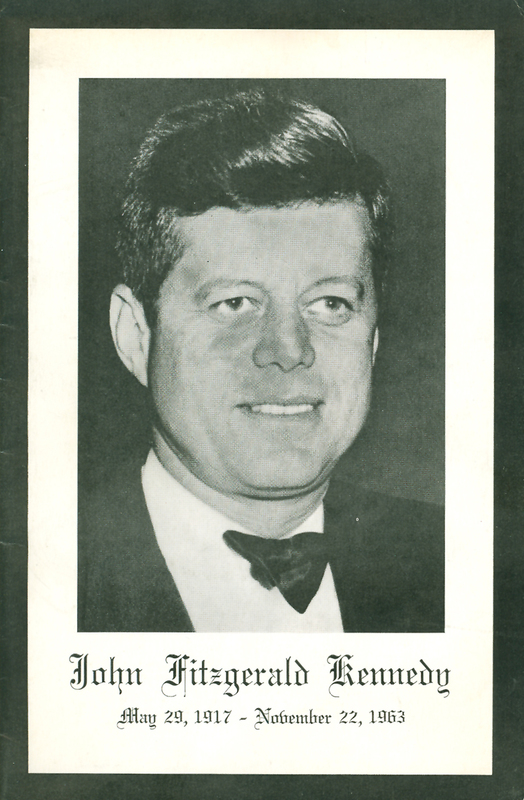 You are currently browsing the tag archive for the ‘Michael Tilson Thomas’ tag. 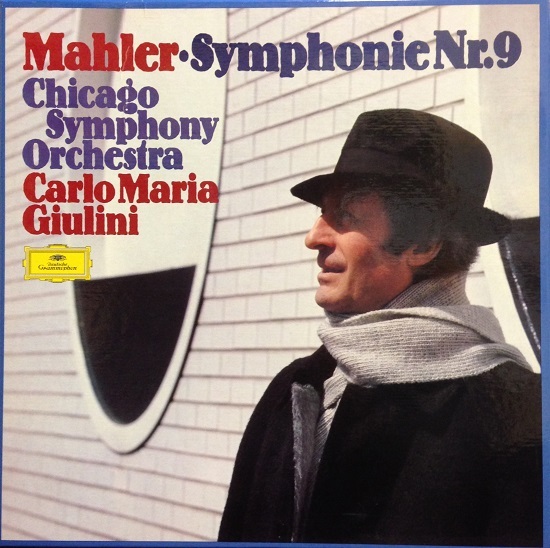 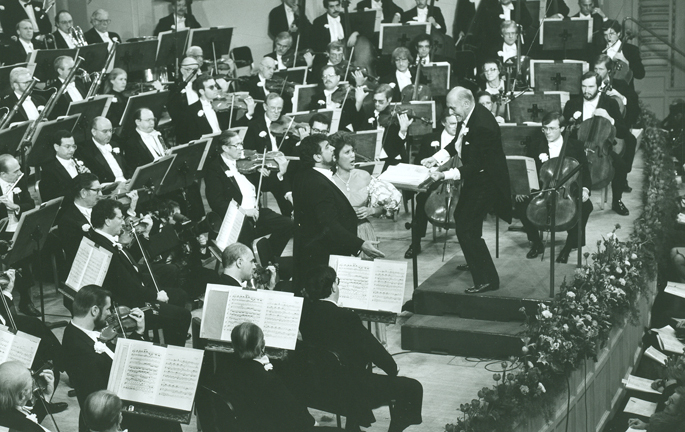 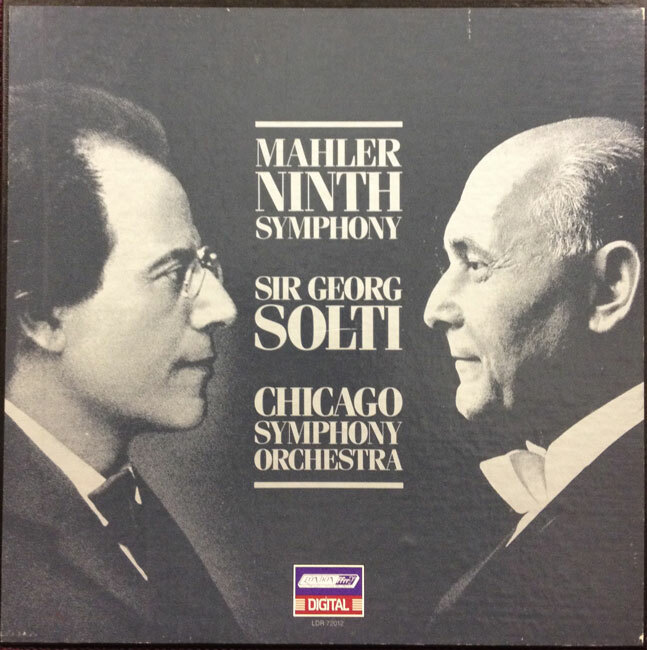 Sir Georg Solti led the Chicago Symphony Orchestra’s first trip to Australia in March 1988, sharing podium duties with Michael Tilson Thomas. 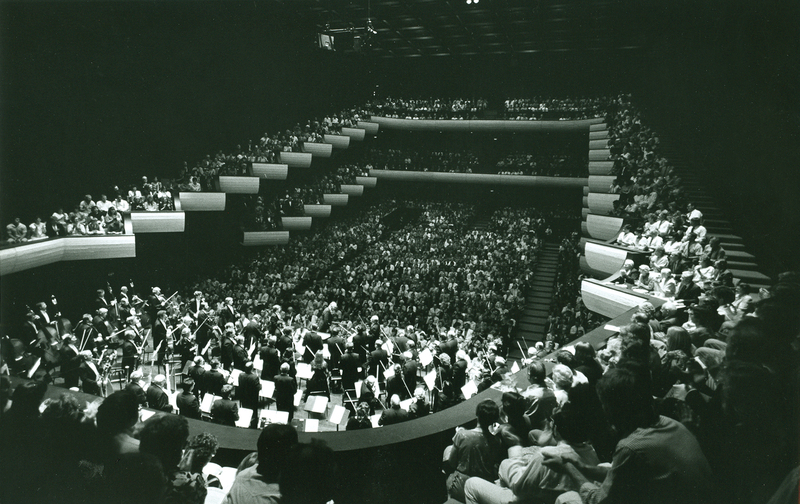 The thirteen-concert tour included stops in Adelaide, Brisbane, Melbourne, Perth, and Sydney. 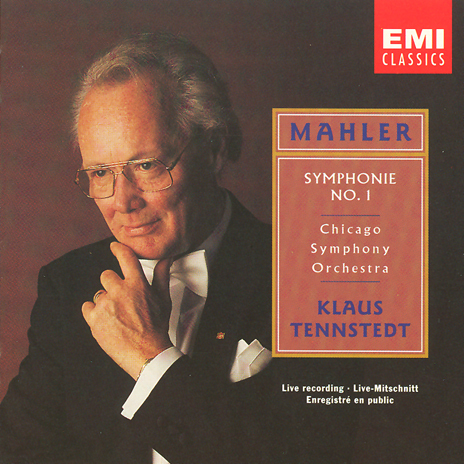 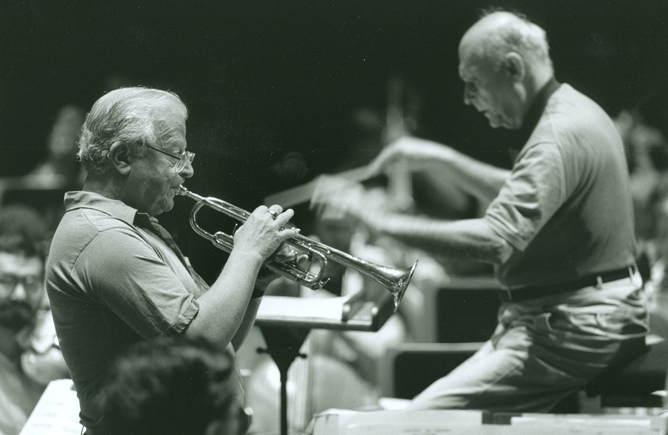 Several of the concerts included performances of Karel Husa’s Trumpet Concerto, which had received its world premiere in Chicago on February 11, just prior to the tour. 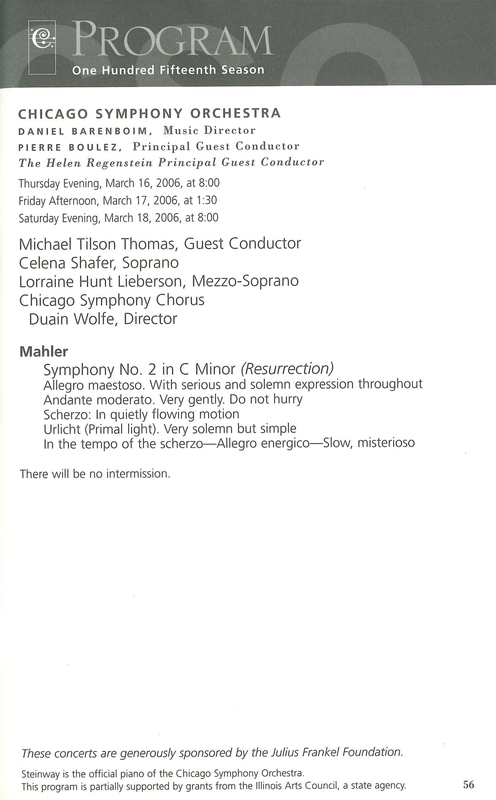 Principal trumpet Adolph Herseth was soloist. 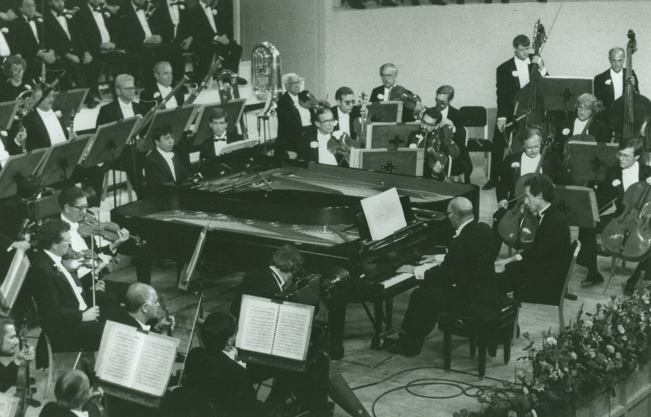 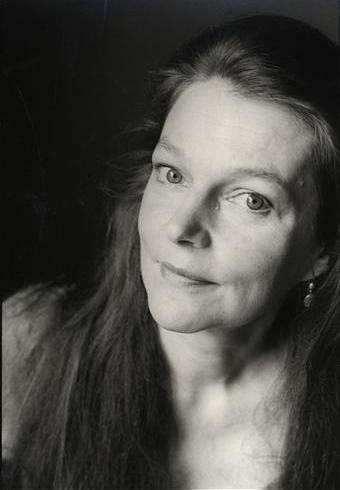 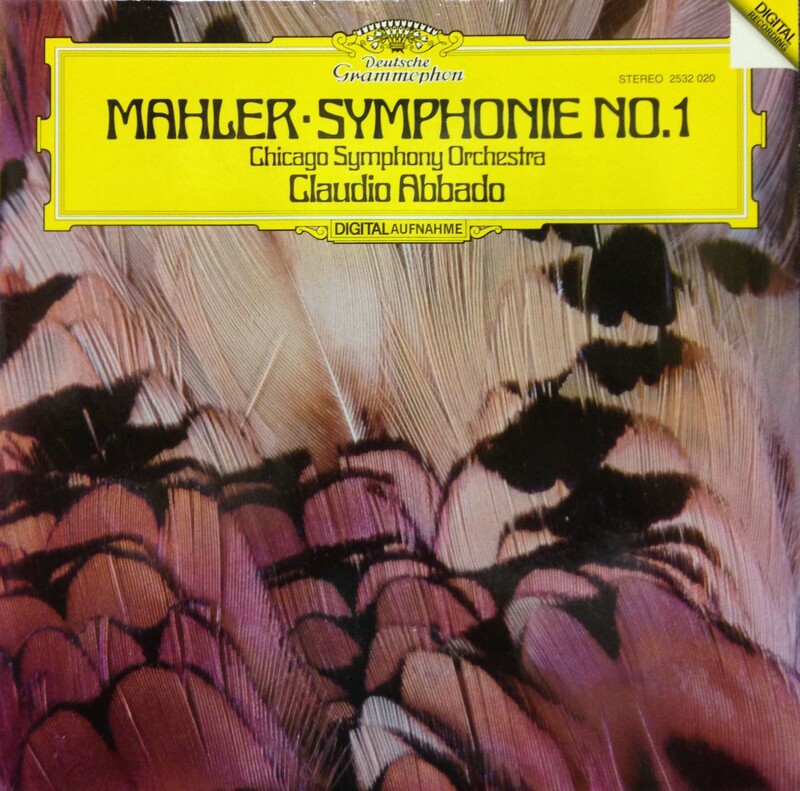 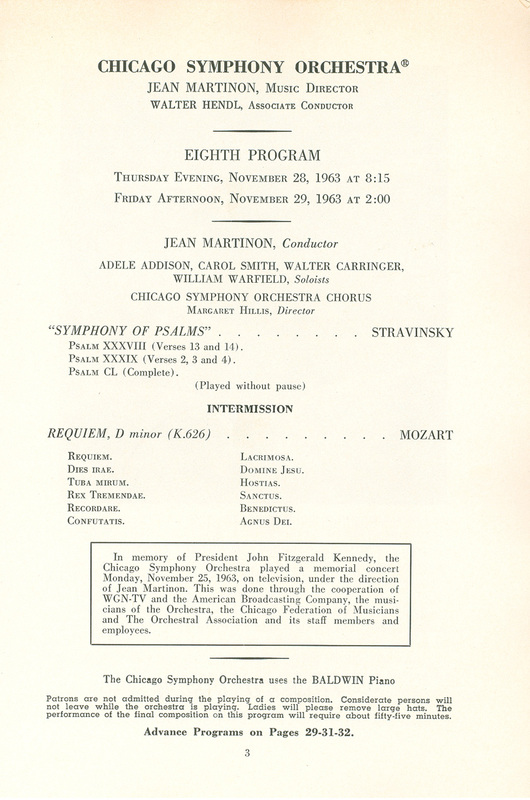 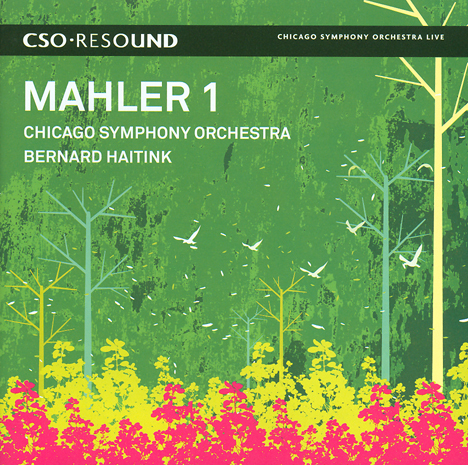 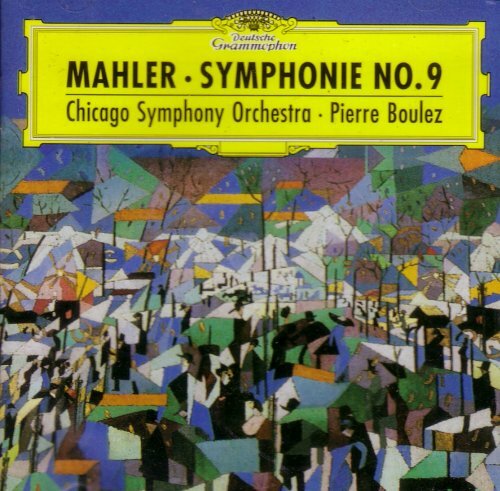 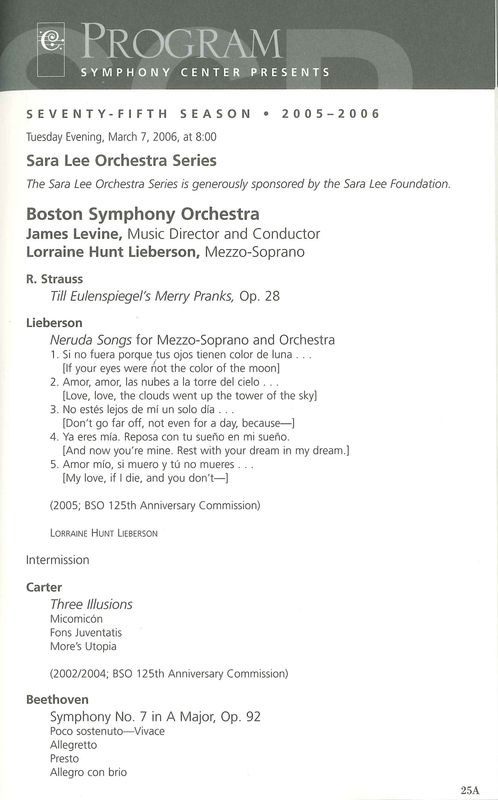 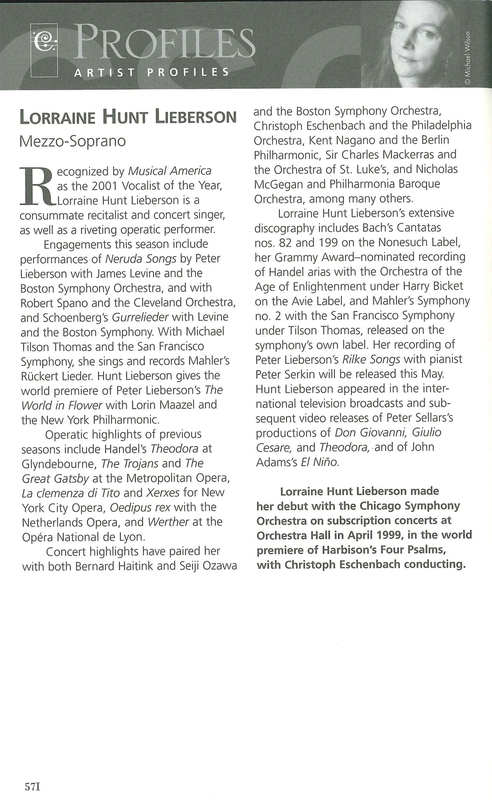 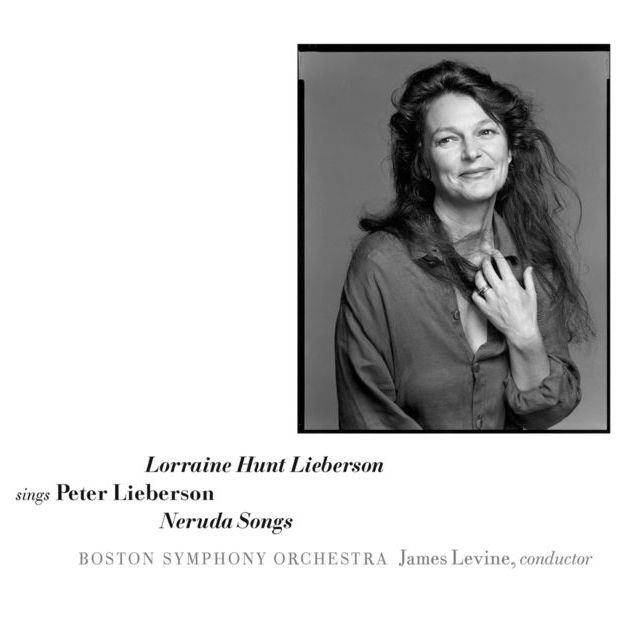 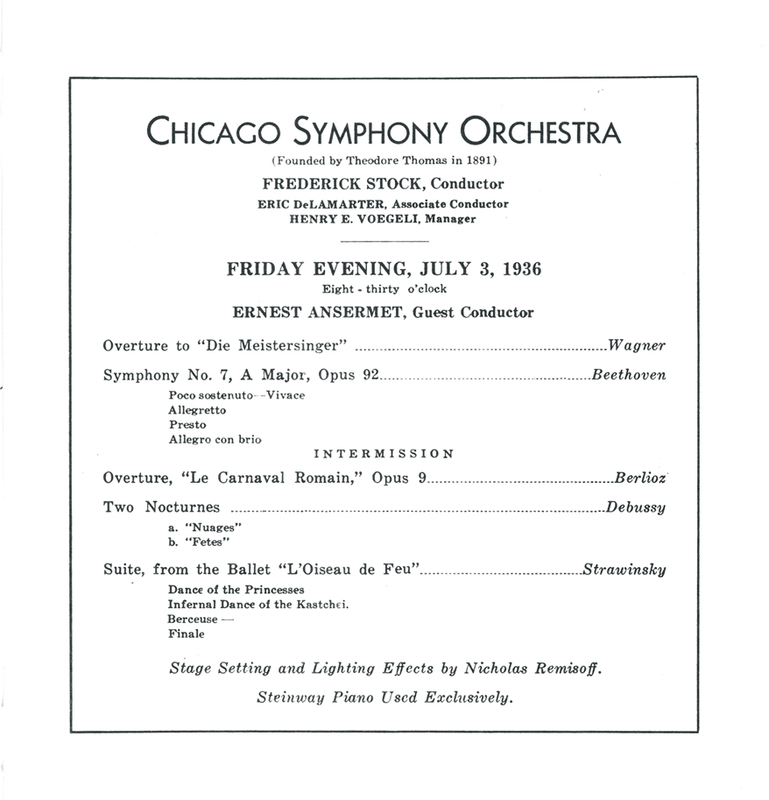 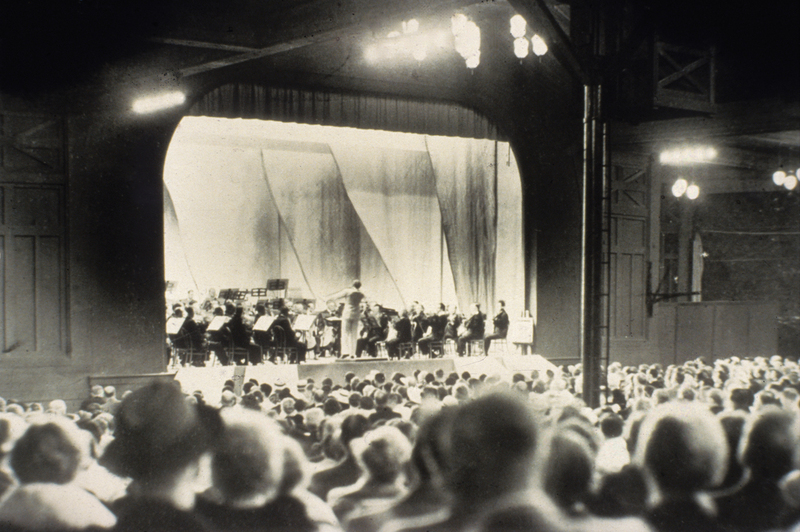 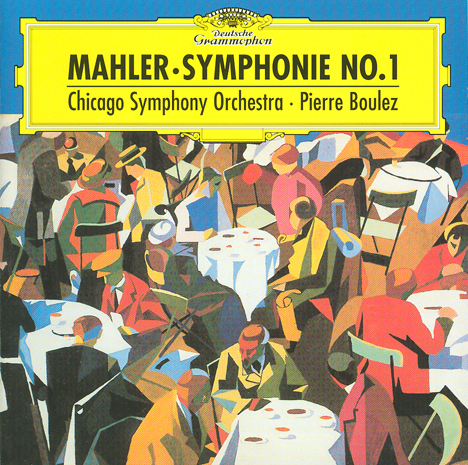 The concerto was made possible by an endowment fund established by the family of Edward F. Schmidt in his memory, and it was dedicated to Herseth, Solti, and the Orchestra. 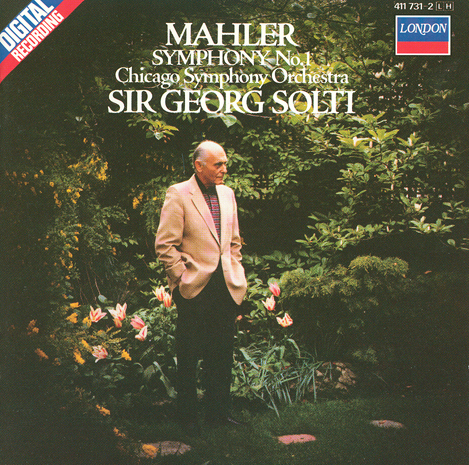 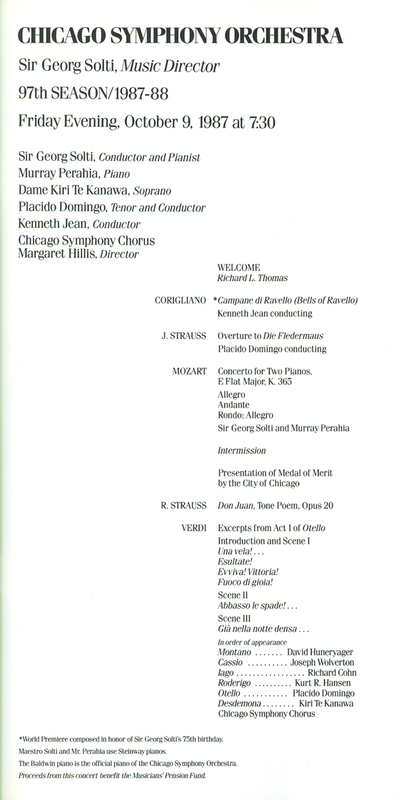 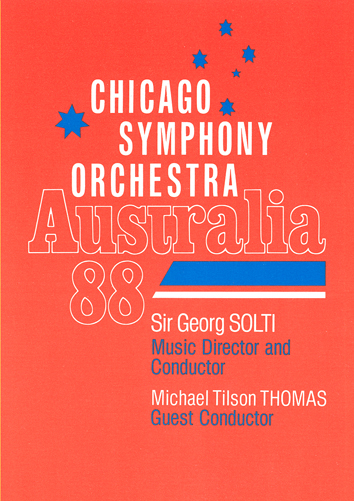 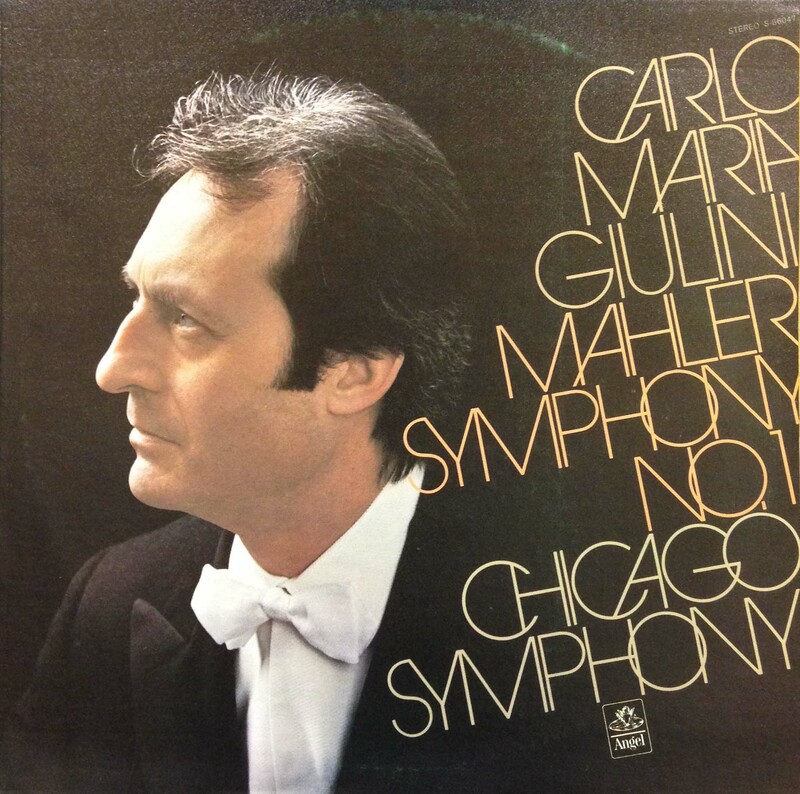 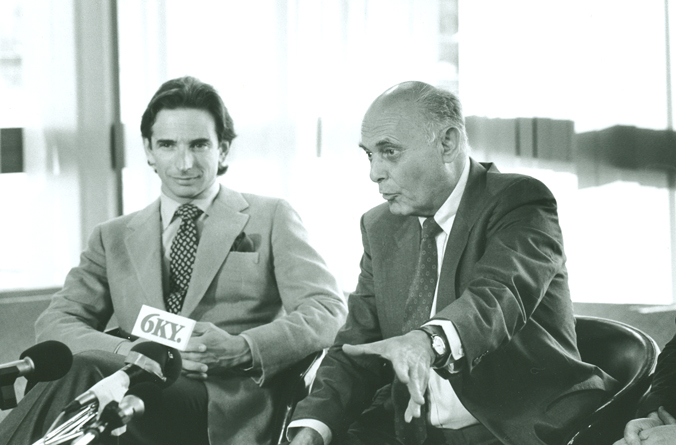 Sir Georg Solti led the Chicago Symphony Orchestra’s first trip to Australia in March 1988, sharing podium duties with Michael Tilson Thomas. 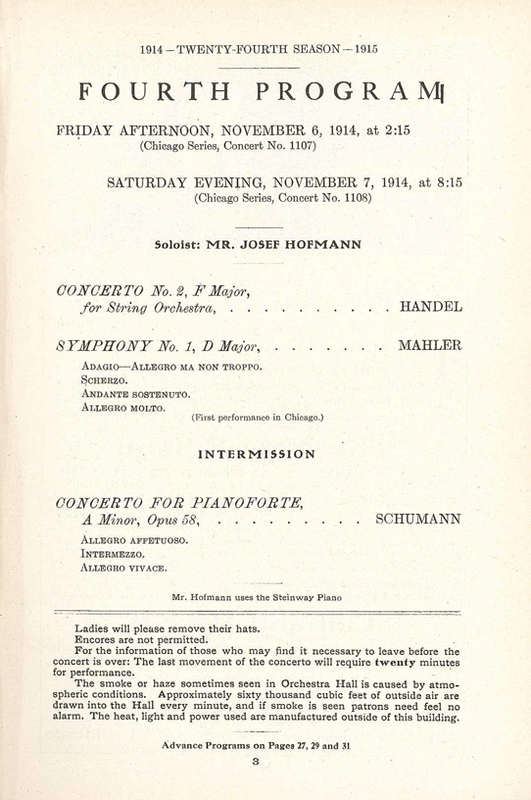 Several of the concerts included performances of Husa’s Trumpet Concerto, which received its world premiere in Chicago just prior to the tour on February 11. 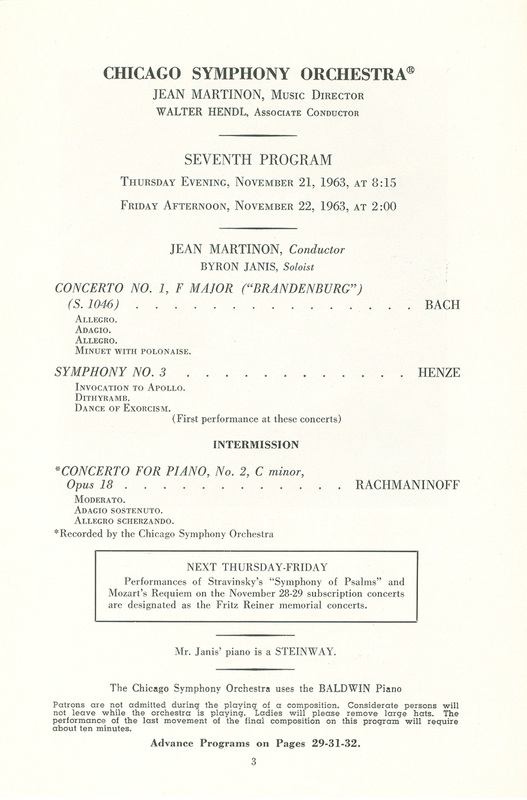 The concerto was made possible by an endowment fund established by the family of Edward F. Schmidt in his memory, and it was dedicated to Herseth, Solti, and the Orchestra.